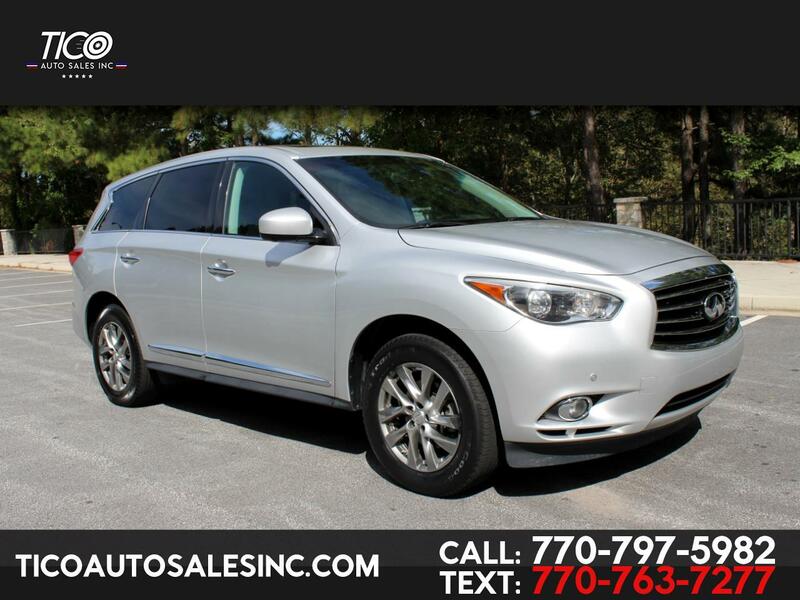 Like new, 2013 Infiniti JX35, ONLY 77k miles, Loaded! Leather seats, power seats, heated seats, power windows and locks, push-to-start button, smart key, navigation, back up camera, Bird Eye View camera system, third row seats, sunroof, fog lights, alloy wheels, tires in great shape, BOSE sound system, cold A/C, hot heater, tinted windows! Super clean inside out, no mechanical or electrical issues, no leaks, runs and drives great! Clean title, original miles, clean carfax, current emissions! Super clean and spacious SUV, low miles, well taken care of!